Please call me Anthony, Tony, ခန္ဒိ (Khandi), or whatever other names I collect along the way. As a third-year PhD student, I spent the summer of 2016 pursuing my thesis work in Toronto, Tokyo, and Yangon, what looks to be a typical trifecta in my program. The trip started off as an attempt to continue learning Burmese, combined with a preliminary journey to scout out and assess the nature and feasibility of future archival work. With some luck and the right personal connections, it turned out to be a very productive tenure with many unforeseen redirections in the development of my thesis. On the way to Myanmar, I first made a month stop in Japan, in part to meet with scholars there studying Southeast Asia, Burmese Buddhism and Pali philology. Initially I visited the Institute for Advanced Research on Asia at the University of Tokyo, where Pali scholar Baba Norihisa works on commentarial literature and Theravāda philosophy. I then had the fortune to meet with Ryosuke Kuramoto, currently at Nanzan University. He and Buddhist Studies Scholar Mayumi Okabe, from Chukyo University, welcomed me in May 2016. As an expert on modern Burmese monasticism, Kuramoto and I have the potential to collaborate on issues of the kathina-kamma, or robe-giving ceremony, untangling issues of vinaya and Buddhist economy critical to my research. In June, after returning from Myanmar, I traveled to Sendai College of Technology to meet with Sanskrit-Pali philologist Sunao Kasamatsu, creator of several indexes for the Pali Text Society (PTS). Kasamatsu is currently conducting his digitization project of Pali palm leaf manuscripts in monastic libraries of Myanmar, in collaboration with the PTS. I also met with anthropologists of Buddhism Tadayoshi Murakami, University of Okasa, and Tatsuki Kataoka at the University of Kyoto, to discuss their experiences studying the periphery Southeast Asian Buddhism. Once in Yangon, I immediately set to improving my Burmese language skills. 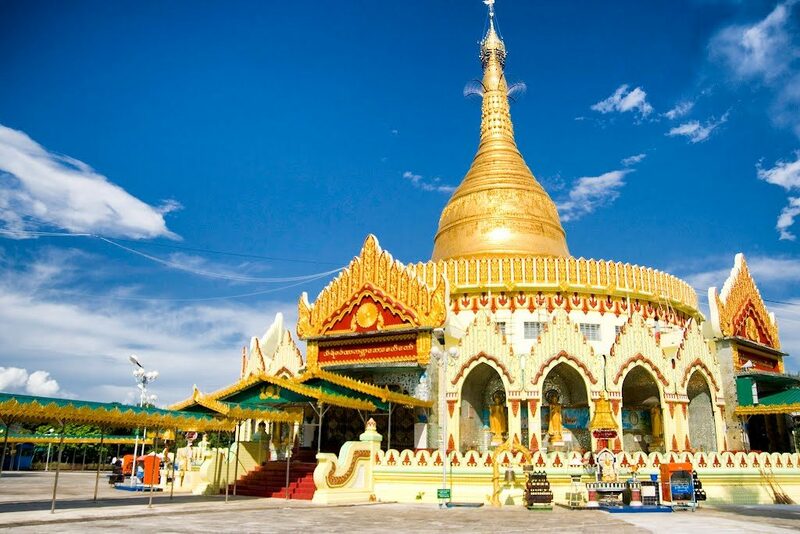 After contacting her through email, Professor of Myanmar Languages, Dr. Cho Cho Aung from the International Theravāda Buddhist Missionary University, agreed to meet for Burmese language training. She taught me at the university for two weeks every evening while I resided nearby the Kaba Aye Pagoda, built by the U Nu independence government to promote world peace and commemorate the so-called Sixth Buddhist Council, 1954-56. After being attuned by Professor Aung, I then had the opportunity to study with Burmese language titan, John Okell, at the Institut francais d’birmanie, for two weeks. These intensive courses included lessons in writing, reading and speaking Burmese, as well as workshops on Literary Burmese, which supplements my own translation work directly. After studying Burmese language for almost a month, I acquired numerous materials crucial to my research. It partly started when Professor Kuramoto introduced me to an independent researcher in Burma, Nang Kham Wah, lecturer in Japanese language at the University of Foreign Languages, Yangon. Nang Kham Wah graciously introduced me to many scholar-monks and professors at the State Sasana Pariyatti University, Yangon. Through these scholars I learned about the background and personage of Ū Nārada, a meditation master and Pali specialist whose work is at the centre of my thesis. Everyone agreed I should meet U Aung Mon, the resident expert on my thesis topic, accomplished scholar and Buddhist bookshop owner in Yangon. U Aung Mon graciously gave me new editions of my source text, published in 2015 by a group of lineage devotees marking the centennial of the founding of Mingun Jetawun Sayadaw’s monastery. This group also compiled an anthology dedicated to Mingun Jetawun Sayadaw, with contributions from professors, scholar-monks and trustees of the monastery. The anthology may prove an invaluable resource containing twenty-first century interpretations of Ū Nārada’s controversial writings, but I have not yet begun translation. Several autobiographies and lineage-histories also exist for the Sayadaw, considered one of the so-called ‘arahants’ of the twentieth century in Burma. Back in Canada, it becomes clear how fortunate I am to have made the friends that I did. Without their kindness and assistance, I would not have accomplished nearly as much on my first trip to Myanmar. As the Centre for Buddhist Studies starts up at the University of Toronto, I am honoured to bring some Burmese influence back home, both in terms of language, translations and longyis. With the CBS as home base, I am sure next year’s trip will be even more fruitful! Tony Scott is a doctoral student in Buddhist Studies.